Please note that the content of this book primarily consists of articles available from Wikipedia or other free sources online. Created to shock the audience and question the nature of art, shock art is described as both thought-provoking and offending. However, whilst art critics are still arguing about artistic value of shock art, it becomes increasingly popular in galleries, auction houses and museums, attracting visitors to museums and making artists popular and wealthy. 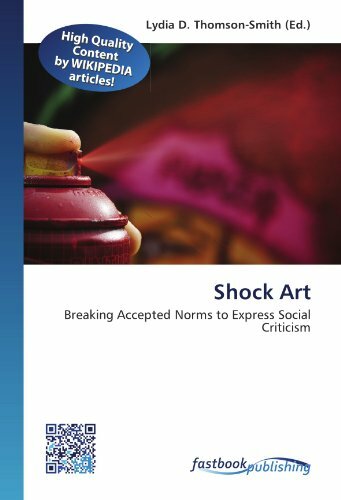 Learn more about the concept of shock art and artists who create artwork to shock their audience in this book.